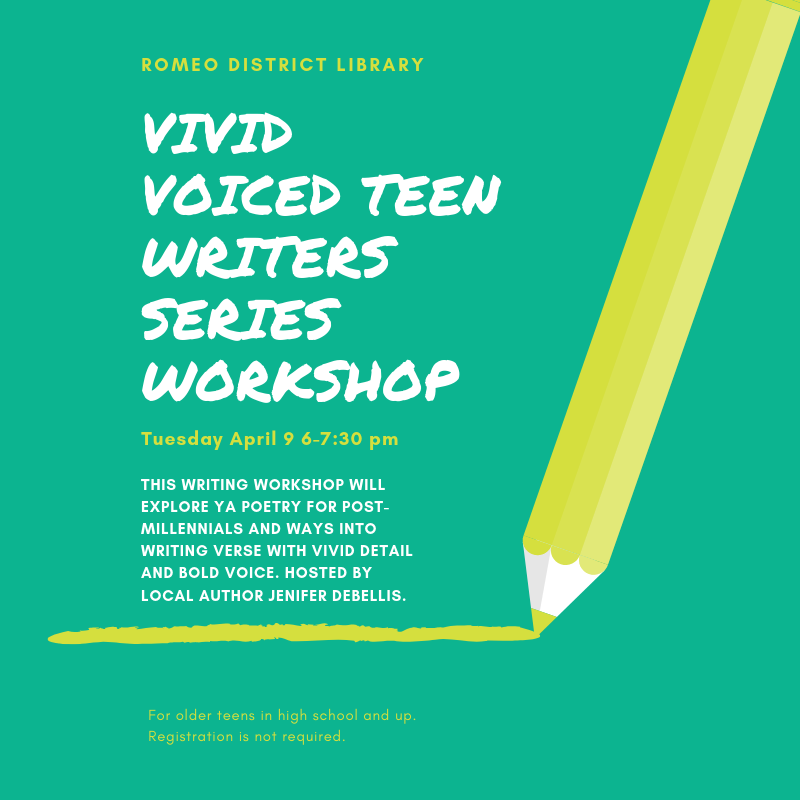 Vivid Voiced Teen Writers Series Workshop, April 9 6:00-7:30 p.m. 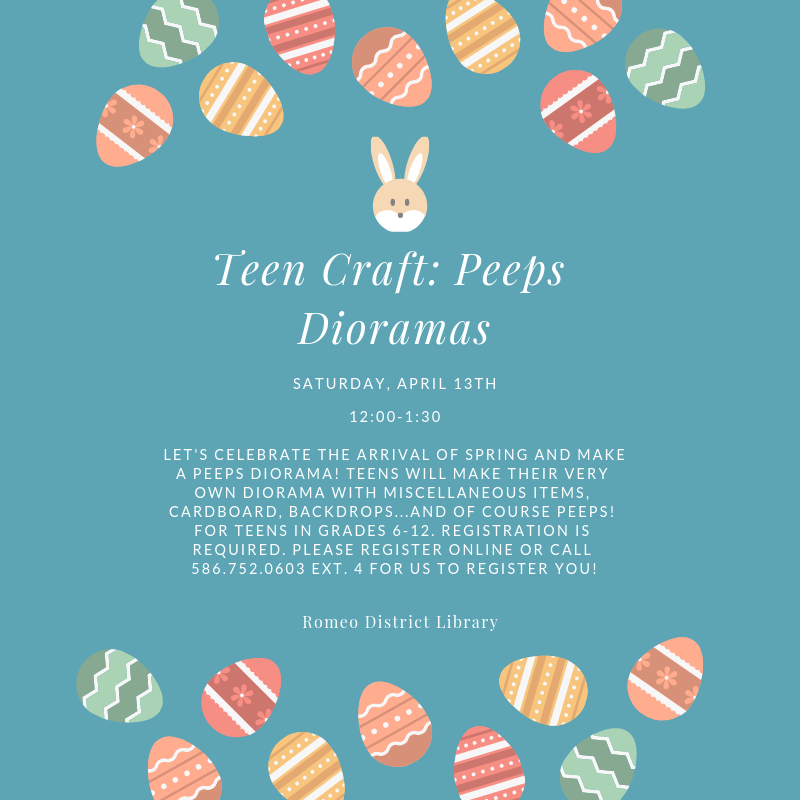 Teen Craft: Peeps Dioramas April 13, 12:00-1:30 p.m.
During the month of March, there will only be teen programs in the first week of the month. Any events from 3/11/19-3/31/19 have been cancelled due to library renovations. Thank you for your patience! Teen Craft: De-Stress March 5 6-7 p.m.
School or life got you feeling stressed out? 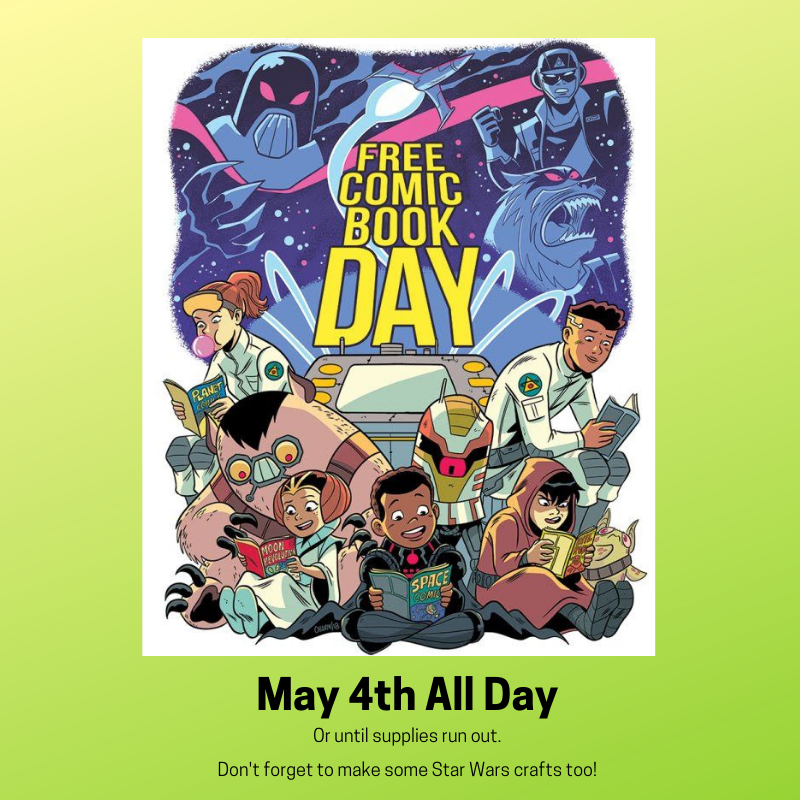 Then come to the library to decompress! We will be making unicorn slime and stress relief balls. Registration is required. 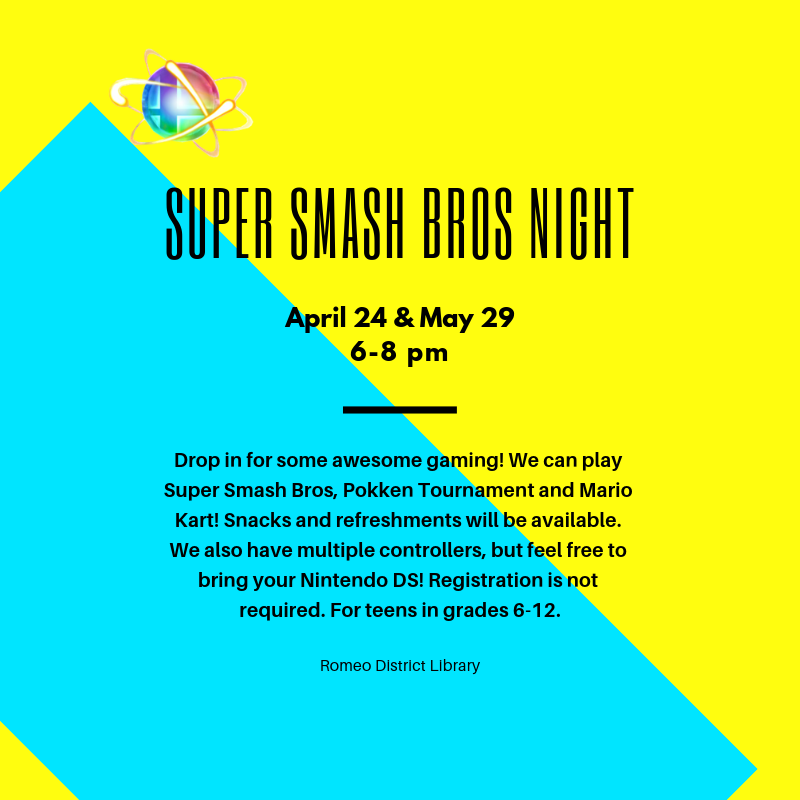 For teens in grades 6-12. 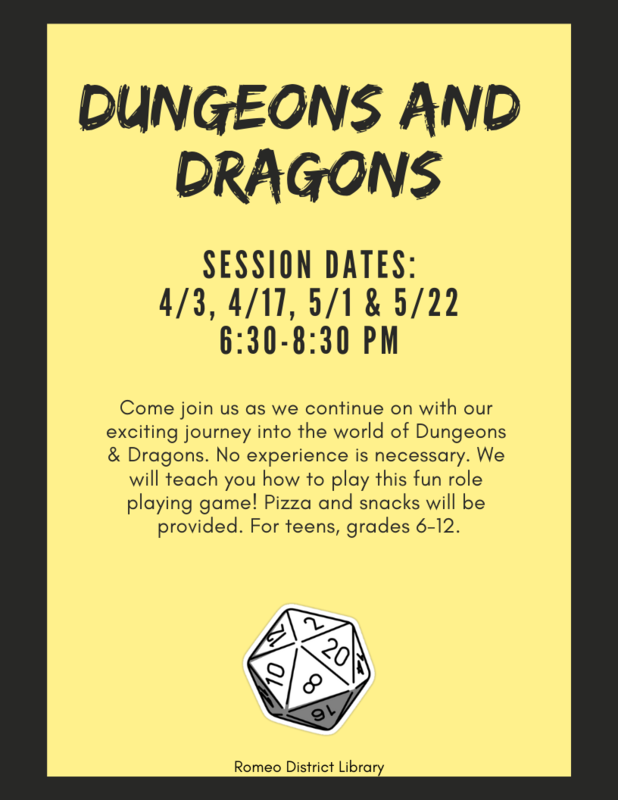 Come join us as we continue on with our exciting journey into the world of Dungeons & Dragons. No experience is necessary. We will teach you how to play this fun role playing game! Pizza and snacks will be provided. 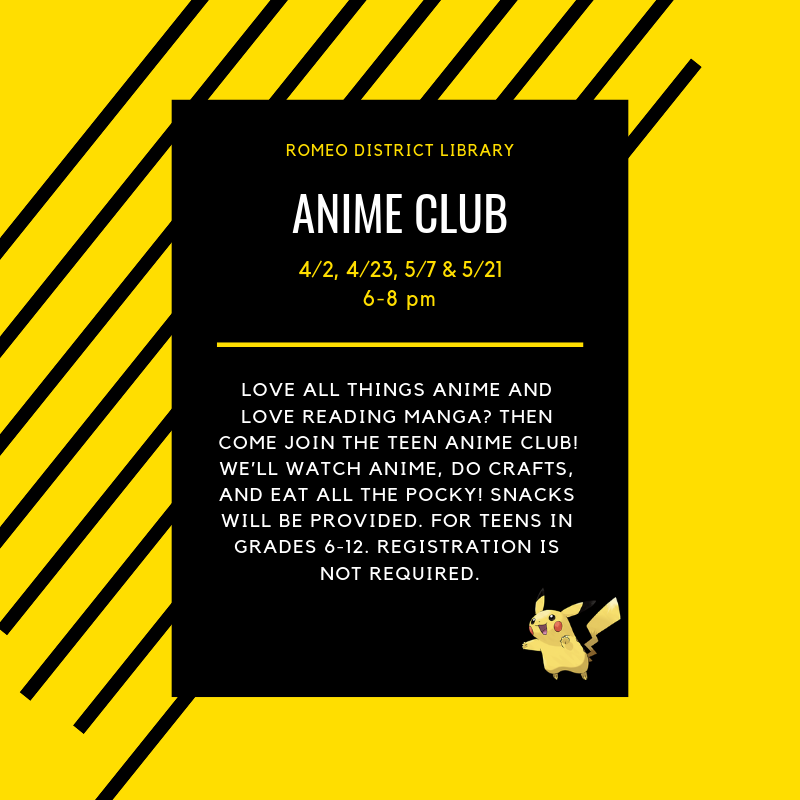 For teens, grades 6-12.